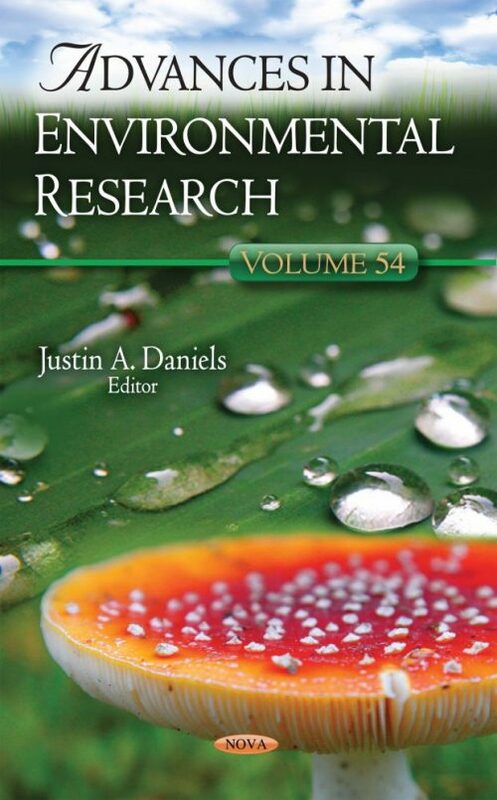 This book provides readers with the latest developments in environmental research. Chapter One provides a socio-economic analysis on the impact of the Cyclone Sidr on rural communities of Southwest Bangladesh. Chapter Two describes the recent status of Ophraella communa and the ragweed in Japan and discusses the changes in the relationship between this herbivore and its host plants. Chapter Three reviews seed dispersal systems in the regeneration of semiarid Mediterranean forests. Chapter Four examines important implications for providing adaptive silvicultural practices under future climate change. Chapter Five presents the mathematical model and results of numerical simulations of long-term thermal influences of different engineering construction on the permafrost in northern oil and gas fields exploitation. Chapter Six discusses the current policies for urban heat island (UHI) mitigation and adaptation in Canada. Chapter Seven examines the Bei’an–Heihe highway, located in northeast China, which goes through a permafrost degradation area in the northwest section of the Lesser Khingan Mountain. Chapter Eight focuses on metal and metalloids in sediments from the estuary of the Nerbioi-Ibaizabal River. Chapter Nine analyzes a 25-year-long study using tree-ring 13C records from Spanish forests, which reveals a transitory interruption of the Suess effect during the nineties of the past century.